Chris Brown is under pressure from his fans in Kenya who are calling for his deportation for snatching a female fan’s iPhone. Sources told Urban Islandz that the female fan was taking a pic of Breezy when he got angry, snatched her phone and smashing it on the ground. Other reports suggest that the female fan was trying to take a selfie with Brown upon his arrival at the Moi International Airport in Mombasa on Saturday. 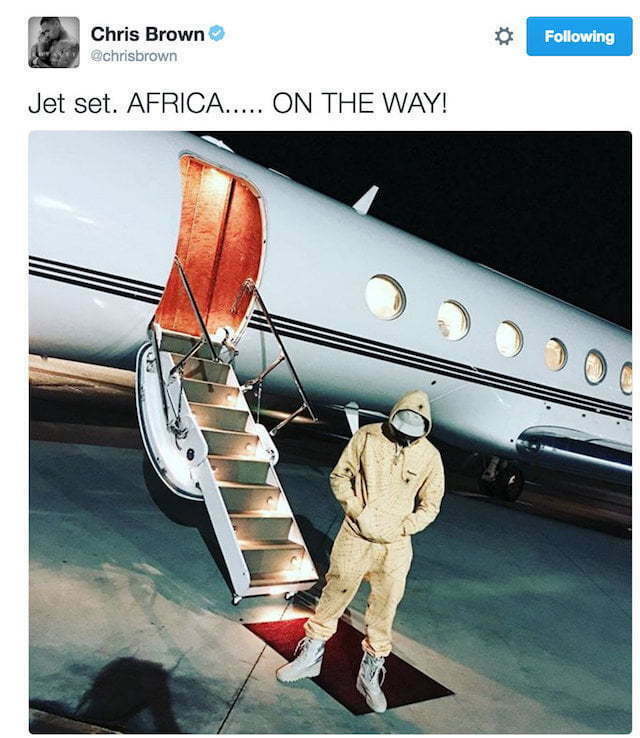 Chris Brown confirmed yesterday that he is flying to Africa for a big performance this weekend. “Jet set. AFRICA….. ON THE WAY!” he wrote on Twitter. 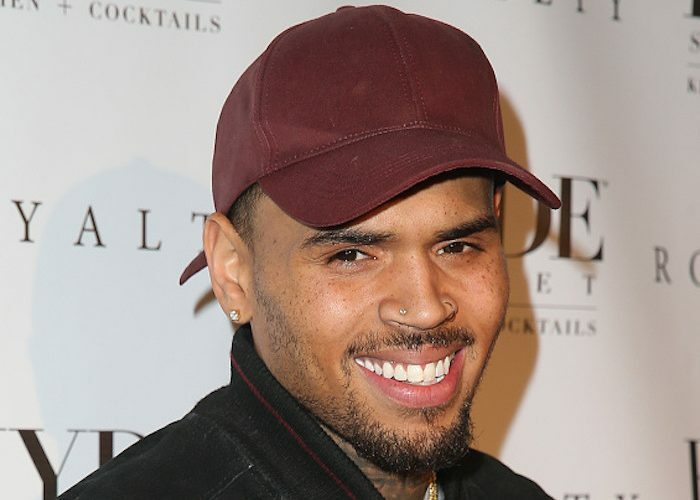 Some of the singer’s fans in Kenyan have been voicing their outraged on social media with some calling for his deportation using the hashtag #DeportChrisBrown. “#DeportChrisBrown we are working hard to empower women and he has come to smash their phones. Wewe Chris brown,” one fan wrote. “When a fan pays 10k to see you and you smash her phone when she tries to take a selfie, is this good? #DeportChrisBrown,” another fan wrote. Despite getting some backlash from some fans, Brown has been getting support from others who will be in attendance at his sold out concert tonight. She said when I told the media that CB smashed my phone, do you believe me or your lying eyes (the video)? There are two things that must happen to stop all these lies. One- Chris needs to sue them for slander, defamation, etc. even though they have NOTHING! Two- the Police need to arrest them for making a false police report!